The day after David Whitley took office as Texas secretary of state on Dec. 17, he received a 49 percent pay raise thanks to his friend and political patron, Gov. Greg Abbott. In a Dec. 18 letter to the Legislative Budget Board, the governor’s chief of staff said Abbott was using his authority to immediately raise Whitley’s annual salary to $197,415. That’s almost $64,500 more than the $132,924 paid to Rolando Pablos, the Abbott appointee who was secretary of state before Whitley. The raise, revealed in a footnote in a Legislative Budget Board document as part of the current budget process, meant Whitley still took a pay cut from his $205,000 salary as the governor’s deputy chief of staff — although the footnote said the letter was sent Dec. 8 instead of Dec. 18. Whitley began working for Abbott in 2004 and spent almost four years as the then-attorney general’s travel aide, driving Abbott across Texas and helping him move from automobile to wheelchair. Abbott and his wife, Cecilia, grew to consider Whitley as almost part of their family, according to a recent Dallas Morning News profile of the secretary of state. A priori, I don’t have an issue with bumping up the SOS salary so as to not give a guy a big pay cut. The problem is with the sheer incompetence. I mean, in a way I’m glad Whitley has been so bad at his job, because that has prevented him from doing any real damage so far. But the SOS has responsibilities beyond voter registrations, and I don’t see any reason to believe David Whitley will be good at any of them, either. I’ll say this for Whitley, he’s staying positive in the face of all that pushback. In his first public comments on the matter, acting Texas Secretary of State David Whitley last week pledged to cooperate with Congress, which has opened an investigation into his error-laden voter roll review that has Democrats howling voter suppression and has threatened his confirmation as the state’s top election officer. Whitley, on a visit to a school in the Rio Grande Valley, also expressed his confidence that he will ultimately be confirmed by the Texas Senate despite opposition by every Democrat in the chamber. See here for the background. I have no idea why Whitley thinks Senate Dems will change their minds about him, but hey, keep hope alive. In the meantime, those Congressional Dems have set a date for those documents they want. “We want to get to the bottom of what happened in Texas,” Rep. Jamie Raskin, D-Md., chairman of the Oversight Subcommittee on Civil Rights and Civil Liberties, said in an interview. 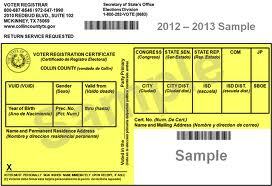 The powerful committee, under Democratic control for the first time since 2011, gave acting Secretary of State David Whitley until April 11 to produce a host of documents related to his assertion in January that nearly 100,000 registered voters in Texas may not be citizens. Raskin stopped short of threatening a subpoena if the many documents requested – including emails with Gov. Greg Abbott and Trump administration officials – aren’t turned over. “We have the authority to order these documents to be produced and we have subpoena power if we need to use it. We’re very serious about this,” he said. I have a hard time believing that Greg Abbott and Ken Paxton will just blithely hand over all their files to a bunch of Democrats. It’s just not consistent with everything we know about them. I think they will hand over as little as they think they can get away with, and will feel free to redact and claim executive privilege as it suits them. If this all goes off without subpoenas or a court fight, I will be surprised. We’ll know soon enough.